GRAFT Network reaches over 1,000 supernodes little over a week after launching on mainnet. Aiming to build a robust network prior to the release of real-time authorizations on mainnet, GRAFT Network has managed to successfully reach (and exceed) its intended target of 250-1000 supernodes with over 1,024 active supernodes as of the time of this writing. GRAFT Network which aims to bring real-time payments to the world of crypto as well as ease of acceptance at the point of sale has managed to gain great interest from the cryptocurrency community shortly after the release of its supernodes last week. This in part due to GRAFT network’s newly launched stimulus program which aims at rewarding GRAFT network supernode owners for their participation in the network at this early stage. GRAFT supernodes, which provide a variety of features to the network such as real-time authorizations and digital asset exchanges, can be hosted by anyone but require a collateral balance depending upon the tier level chosen by those who chose to host a supernode. Supernode tier levels range from tier 1 to tier 4 with the lowest tier requiring a collateral of 50,000 GRFT while the highest requiring 250,000 GRFT. As of the time of this writing the cost of running a supernode ranges somewhere between $300 to $1,500 depending upon the tier chosen, not including hardware or monthly maintenance costs, which is a relatively inexpensive compared to the masternodes and supernodes of other projects. GRAFT network team recommends that their supernodes be hosted on virtual private servers using the Ubuntu 18.04 Linux OS with at least 2 GB per core, 2 GB of RAM, and 100 GB of storage space. 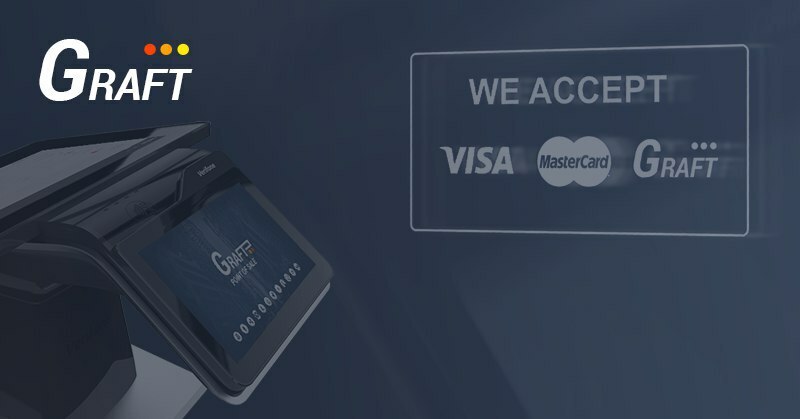 GRAFT Network, which aims at providing an alternative, truly decentralized payment processing network, can be used by merchants to instantly accept cryptocurrencies at the point of sale, getting paid out in the currency of merchant’s choice. GRAFT networks works very similarly to traditional payment networks (i.e. Visa/MasterCard) by allowing cryptocurrency transactions to be authorized in real-time making cryptocurrencies perfectly suitable for the retail environment. GRAFT network sets itself apart from other projects by focusing on decentralization and privacy and making it extremely easy for merchants to begin accepting cryptocurrencies via integration with their existing point of sale systems. GRAFT Network is an open source project being developed with community involvement and welcomes anyone with an interest in wanting to help bring cryptocurrencies mainstream. The GRAFT team is currently open to partnership queries with regards to fulfilling many of the participating service roles on the network (.i.e Exchange Brokers, Merchant Service Providers, Payout Token Underwriters). To learn more about GRAFT network please visit their website at GRAFT.Network or email them at [email protected] for more details.